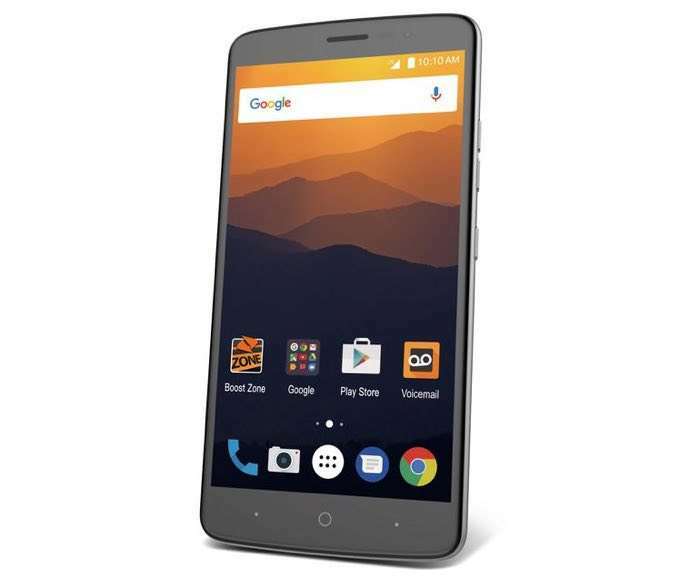 ZTE has added another new smartphone to its range with the launch of the ZTE Max XL and the handset comes with a 6 inch display. The 6 inch display on the ZTE Max XL features a Full HD resolution od 1920 x 1080 pixels and it comes with an octa core 1.4GHz processor. Other specifications on the ZTE Max XL include 2GB of RAM and 16GB of built in storage, there is also a microSD card slot which takes up to 128GB cards. The ZTE Max XL comes with a 5 megapixel front facing camera and a 13 megapixel rear camera, it also features a 3990 mAh battery, WiFi, Bluetooth, USB C and a fingerprint senor. The handset is launching on Boost Mobile in the US and it will cost just $129.